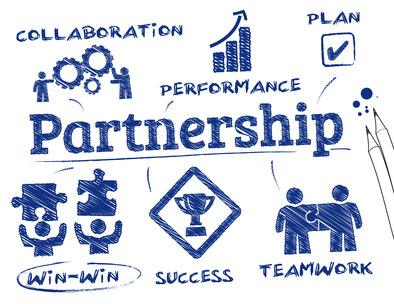 Is a business partner right for you? - Accountants, advisers and finance directors for medium businesses. Going into business on your own is hard work. Not only do you have to provide the service or product you are selling but you also have to come up with the ideas, market your business and cover all of the admin. It’s no surprise that businesses with more than one founder get off the ground more quickly. But supposing you and a friend have a cracking idea for a business, what else should you consider? 1. What he/she would like and expect the business to achieve. 2. How and why the business will be successful. 3. What skills he/she brings to the business. 4. How much capital he/she will invest in the business. 5. Whether he/she would be willing and able to contribute more funds in the future. 6. What role he/she would like to have in the business. 8. When he/she hopes to retire from the business. 10. What other benefits, e.g. a car he/she would expect from the business. Discussing these expectations at the start can help avoid later problems. Take some time to get proper advice from an accountant about what type of business structure would be best for you. It may also be prudent to ask a solicitor to draw up a partnership or shareholder agreement to formally set out how you want to work together.